Now you really would need to look through this list. Not to worry though. You probably would be able to resist an impulse purchase of a gold watch. Except of course if you find it too difficult not to keep thinking about these gold watches for men. In any case, you have been warned. Who would not want a gold Rolex? This item is what you might imagine a typically nice gold watch would be, and for good reason. The Rolex Day Date is not called the President watch for nothing, afterall. 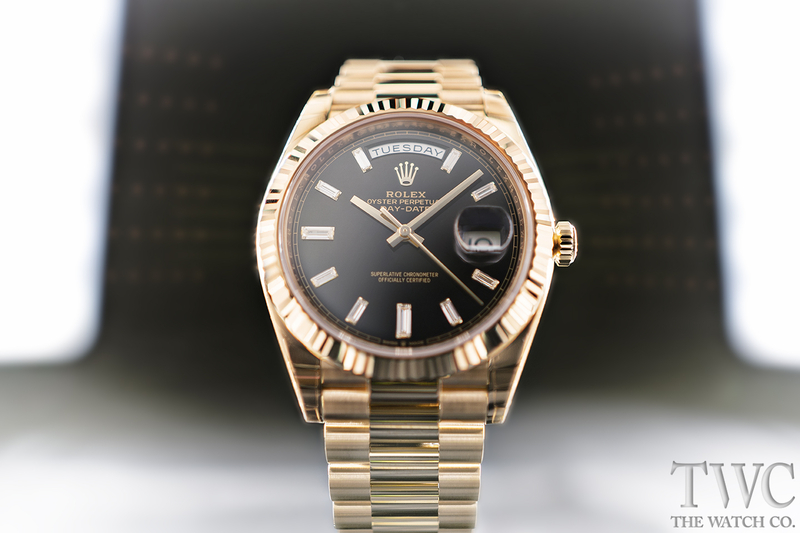 It has everything you need from such a beautiful gold Rolex watch. The prestigious Day Date is made out of 18 karat gold. It holds the distinction of being the pioneering men gold watch to contain both the date and day of the week on its dial. 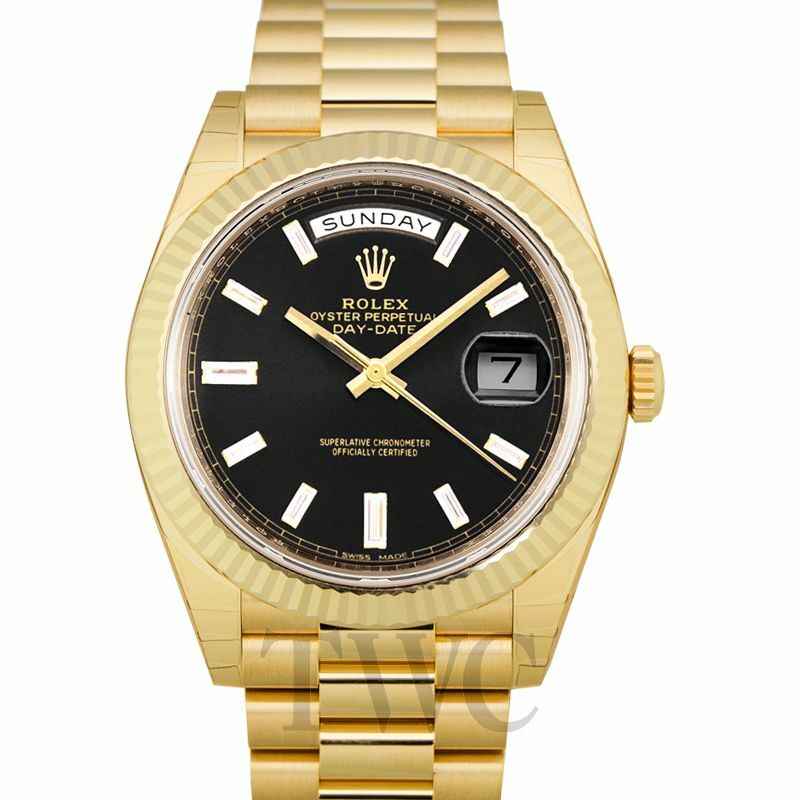 First released in 1956, the Rolex gold watch continues to be the ultimate status symbol for watch collectors and new owners alike. Most gold watches for men already look good on their own accord. Not if it is a Rolex Cosmograph Daytona however. Somehow this gold watch manages to elevate the cool factor even higher. Rolex Daytona is marketed as a racing watch because it was engineered to meet the exacting requirements of professional race car drivers. The Rolex Daytona debuted in 1963 and has always held a special place in the watch community especially after 1972. This was when actress Joanne Woodward gifted her husband actor Paul Newman with the Rolex Daytona watch. Other sources claim however that it was given sometime between 1968 and 1969. Little did they know that it was to become the most expensive Cosmograph ($17.8 million) ever to be sold at auction. Regardless, this Rolex Daytona watch will forever have its ties to a piece of American pop culture. 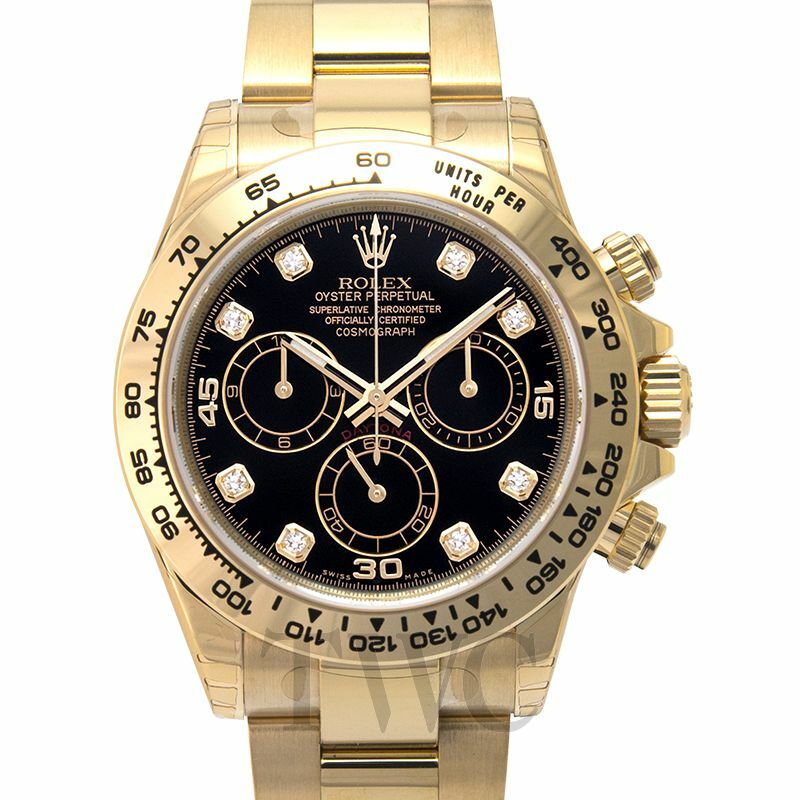 Given the difficulty to acquire the actual Newman watch, the Rolex Daytona gold watch would hardly be considered a shabby option. This gold watch has no additional complications save for a date function. It already packs quite a punch with its black and gold watch combination. 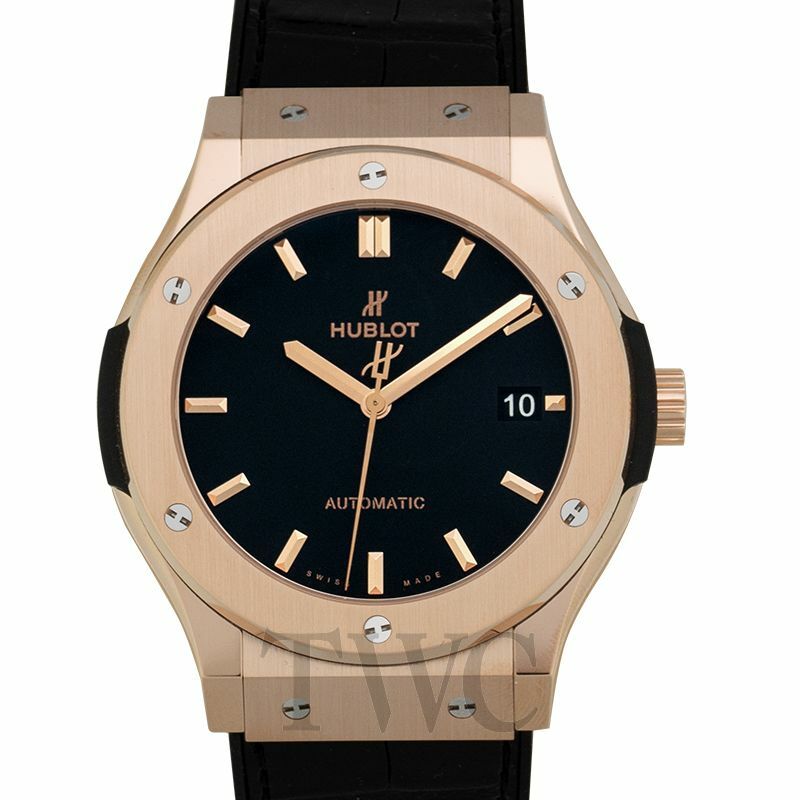 The Hublot Classic Fusion King Gold has strong, bold features which are difficult to miss. Its bezel contains six emblematic H-screws Hublot has come to be known for. This also appears on either side of its 45 mm 18 karat gold case, securing the black rubber and alligator strap. The Hublot gold watch is fit onto your wrist with an 18 karat gold and stainless steel buckle clasp. The Hublot King Gold’s self-winding movement is powered by an HUB1112 Calibre. It is for those who want to deliver an impact based on its undeniably solid looking features. What is better than a Patek Philippe Nautilus? A Patek Philippe Nautilus Gold, of course. For those who are in the know, Patek Philippe or any of its gold watches for men for that matter need no introduction. It is a pleasure to talk about, nonetheless. The Nautilus Rose Gold watch is the 18 karat gold version of the esteemed product line. This elegantly designed Patek Philippe gold watch has been around since 1976. It is quite possibly among the top of the wish lists of most watch enthusiasts. 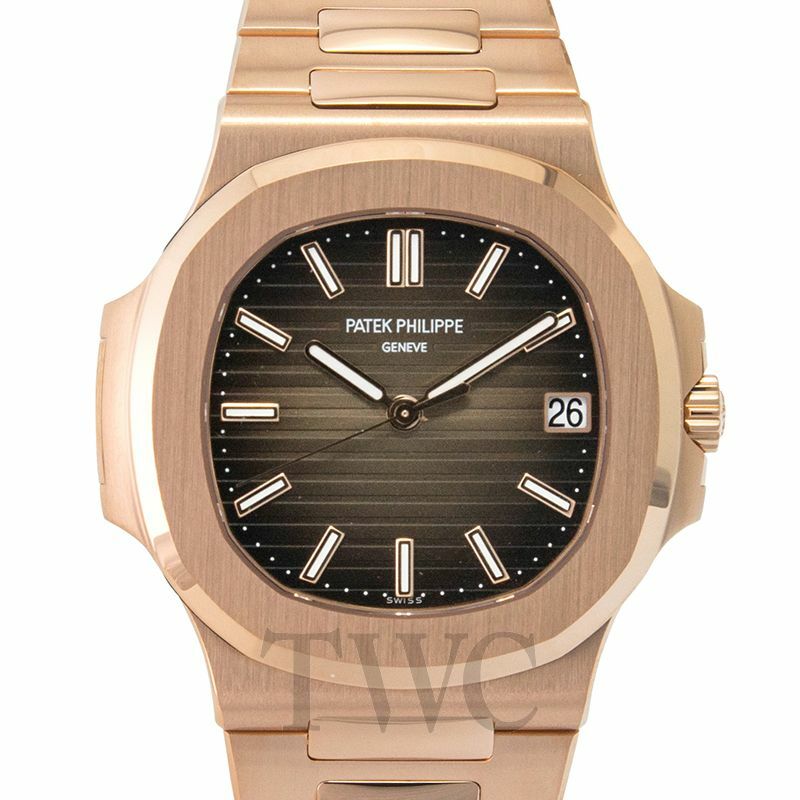 Owning a Rose Gold watch would probably heighten the experience of having a Patek Philippe Nautilis, if that is even imaginable. At any rate, you get the same octogonal shaped bezel fitted onto porthole shaped case. It is an unmistakable mark of distinction in the watch world but this time, you can get it in gold. It is not surprising that another of the Big Three watch brands is on this list of best gold watches for men. The other one was the previous item and the third being watchmaker Vacheron Constantin. 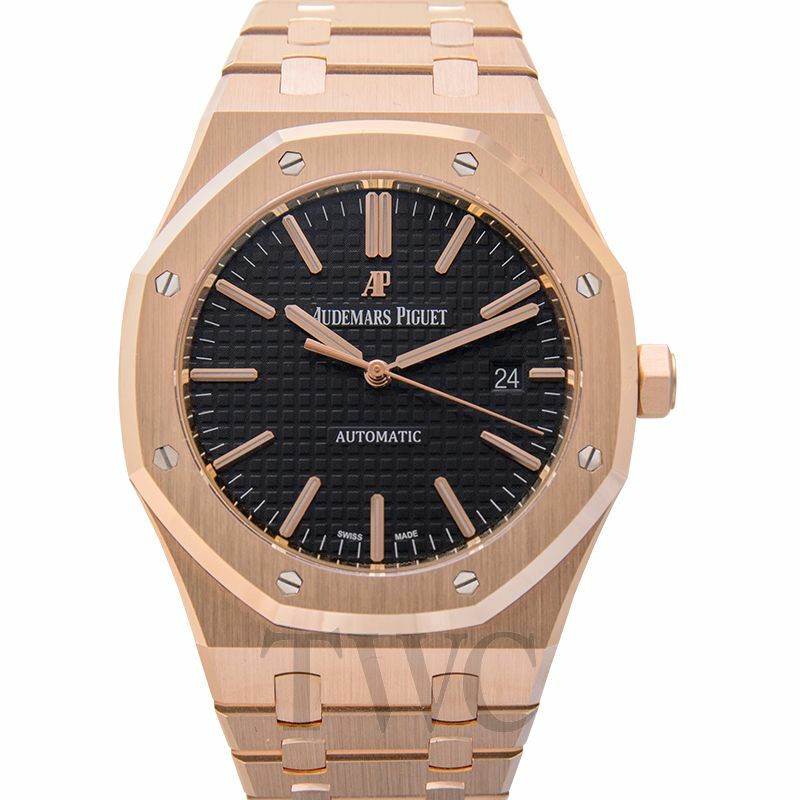 Those who are into fine mechanical watches knows about the Audemars Piguet Royal Oak Pink Gold Self-Winding. Issued in 1972, the AP Royal Oak line is a magnificent example of a modernly designed timepiece. Its easily recognizable “Grand Tapisserie” dial framed by its bold octagon shaped bezel is an instant eye catcher. The solid 18 karat pink gold bracelet is not bad to look at either. Owners of this Self-Winding gold watch will notice some details delicately integrated into it. The indexes appear wider and its minute markers now occupy the borders of the dial. A closer inspection would also reveal that the date aperture is located more to the right. In spite of these subtle changes, the Royal Oak Pink Gold watch is a statement watch through and through. This Bvlgari gold watch is perhaps the most toned down out all the gold watches for men featured on this list. 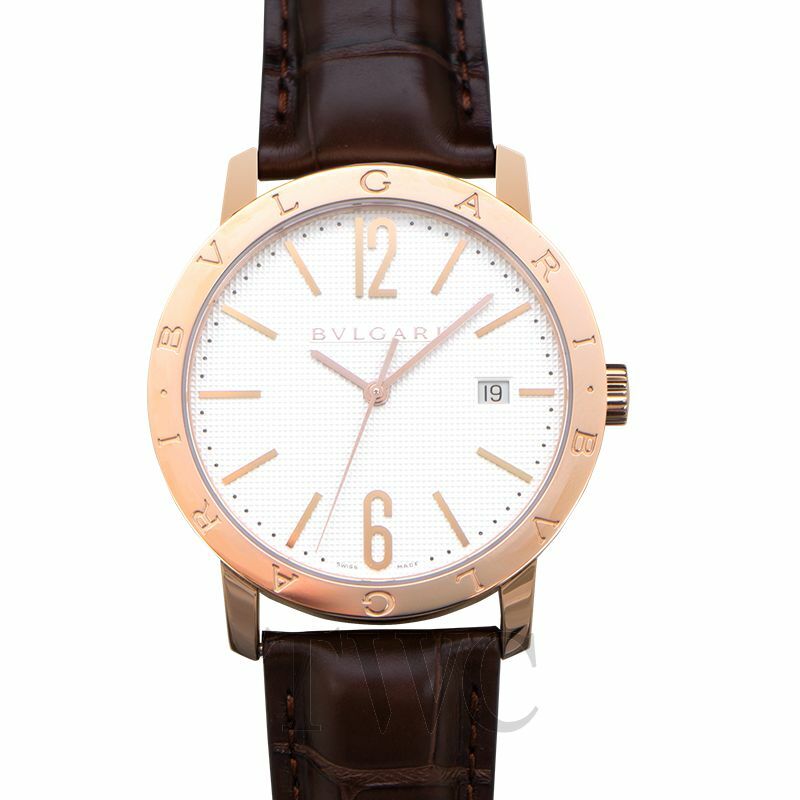 The Bvlgari White Dial 18K Pink Gold is a simple yet refined dress gold watch. The gold watch is comprised of a 40 mm pink gold case with a handsomely made, brown alligator leather strap. Perhaps it is its white dial which brings the entire piece together. The rose gold toned hands surrounded by longer Arabic numerals and index markers appears quite noticeable without trying too hard. Its date window is a little bit closer to the center, at the three o’clock position. There is of course the distinct Bvlgari Bvlgari branding engraved at the top and bottom of its pink gold bezel.